1934 Dizzy Dean game scored program at Wrigley Field. It was Guy Bush (Cubs) vs Jerome Hannah Dean (St. Louis) at the Friendly Confines of Wrigley. Game is scored in pencil but RHE totals are not tabulated. Program has a horizontal crease that runs from side to side. Has some hand written notes on scoring page. 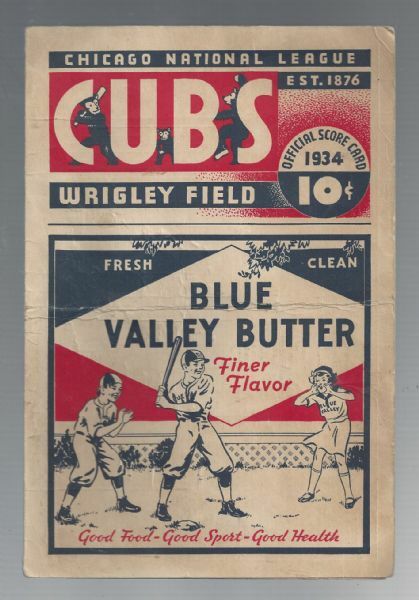 Epic Cubs program. Vg.